Yeast infection symptoms can be present in the mouth, digestive system, vaginal tract, kidney, spleen and other areas in the body. Unfortunately, yeast infection symptoms are often mistaken for some other malfunction, such as fatigue or an upset stomach. Because of this, symptoms are largely untreated. Unfortunately, by the time they are properly identified, yeast infection symptoms have worsened. 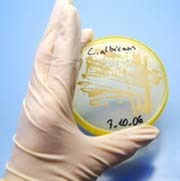 Still, with time and diligence yeast infection symptoms can be treated with home remedies and natural cures. To learn how to properly treat yeast infection symptoms, it helps to have a basic understanding of what yeast infection is, its causes and its basic symptoms. Candidaiasis, more commonly referred to as a yeast infection, is when an overgrowth or imbalance of naturally occurring yeast is present in the body. There are more than 20 different kinds of yeast infections, ranging from thrush (oral), to diaper rash, to vaginal yeast infections, to infections that disrupt the digestive tract, to infections that occur in the nail bed of the hands or feet. As it relates to poor diet and malnutrition, processed foods are particularly to blame for yeast infection symptoms and causes. Such foods include all junk food, fast foods, foods with unnatural chemicals, foods made with white flour, white sugar, and artificial sweeteners. Candida yeast thrives off these foods, thus it is able to multiply at a faster, stronger rate throughout the body when properly nourished by a poor diet. -Plain yogurt is a very useful home remedy for yeast infection symptoms, as it contains lactobacillus acidophilus, which is a type of “good” bacteria that helps in rebalancing yeast. It can be used as a dietary treatment, applied directly to a skin infection, or placed on a tampon to treat a vaginal yeast infection. The yogurt selected should be plain, void of all sugar and artificial coloring. Among the best natural cures for yeast infections, however, is to make dietary changes that will help in naturally balancing yeast’s presence in the body. By adhering to a candida diet, yeast infections can be cured and the risk of future symptoms can be avoided.